Keep the Republic, you shall! 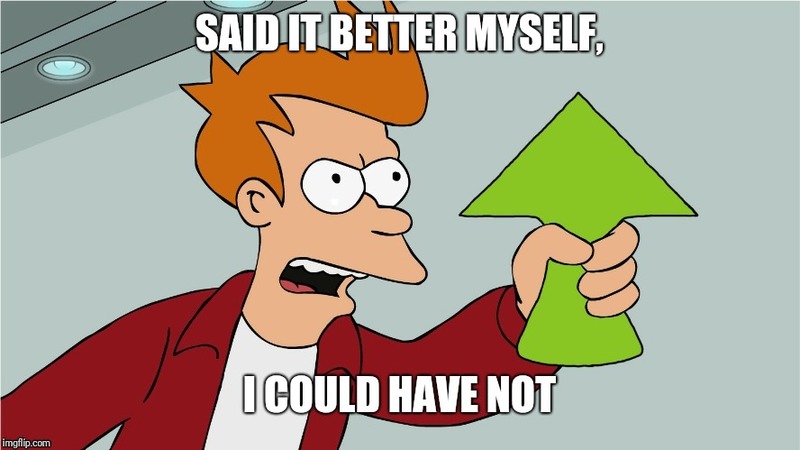 Your last 3 months also got an UpVote, keep it up! LEARN HOW TO KEEP A REPUBLIC, YOU HAVE NOT. 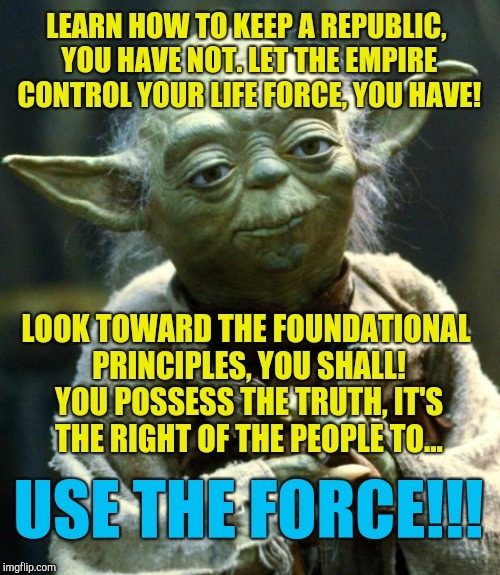 LET THE EMPIRE CONTROL YOUR LIFE FORCE, YOU HAVE! LOOK TOWARD THE FOUNDATIONAL PRINCIPLES, YOU SHALL! 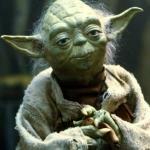 YOU POSSESS THE TRUTH, IT'S THE RIGHT OF THE PEOPLE TO... USE THE FORCE!! !